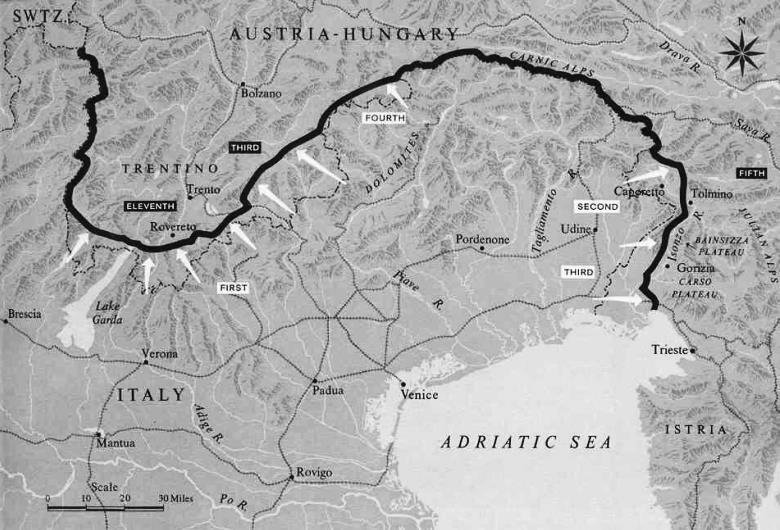 Italy’s Eastern front against Austria is quiet today, as the Fifth Battle of the Isonzo has been over for ten days. Instead, Italy’s hottest front is in the northern sector along a range known as the Carnic Alps, the longest wall of the Austrian mountain fortress called the Trentino. The world’s oldest confirmed battleground is once again active at high, frozen altitudes, opening a theater of the European conflict as the White War. Tonight, a mountaineer battalion of the the ‘imperial and royal’ kaiserlich und königlich (kuk) Army bursts from tunnels dug through the thirty-foot snowpack to assault the peaks known as Pal Grande, Freikofel, and Pal Piccolo (see above), an Italian defensive line looming six thousand feet above sea level on the prewar border. 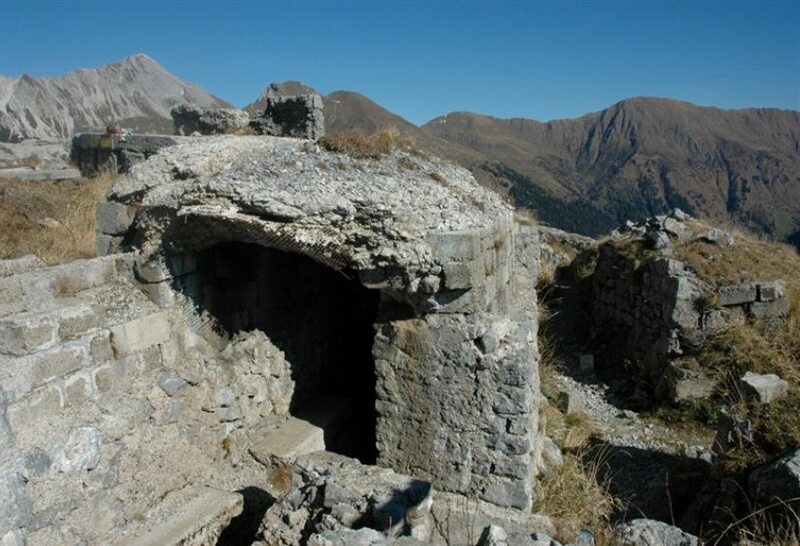 The 272nd Alpine Company of the Tagliamento Battalion is surrounded and taken by surprise in the main defensive trench known as the ‘Trincerone.’ As they are forced to make a fighting withdrawal in the dark, the peaks on either side soon fall into enemy hands — threatening the entire Italian position at Timau below. When the inevitable counterattacks begin tomorrow, the 16th Bersaglieri regiment loses 220 soldiers and eleven officers, including their commander, who dies leading from the front. 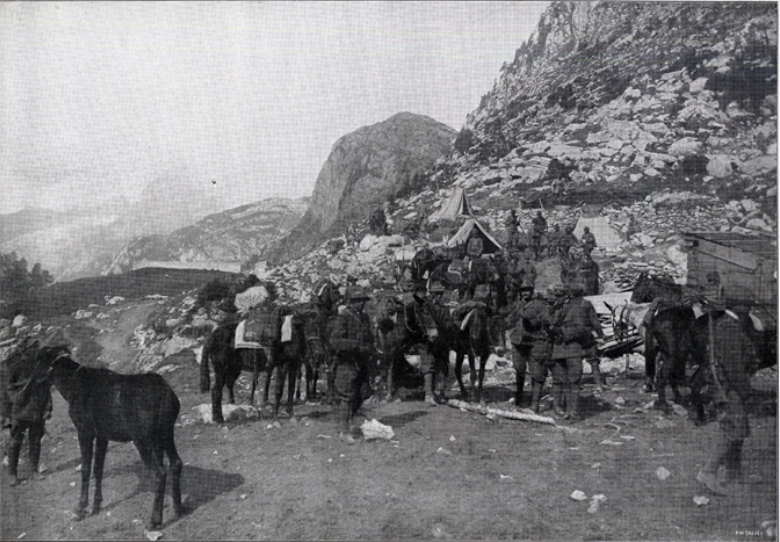 During the three day battle over Mount Croce Carnico Pass, nearly one thousand Italians will be killed, with many casualties left to die in the glacial cold. As with fighting in mountain passes on other fronts, the Austrian-won position here is a challenge to maintain. Most of both armies’ logistical train consists of man-packed cargo, with some surefooted mules, for the geography prohibits road and rail connections near the fighting front. Withdrawing on the 29th due to ammunition and material shortages, the k.u.k. gives up the hard-fought position at the Trincerone on Pal Piccolo. They have improved the defenses with parapets of fresh corpses. This will be one of the most contested points of the Trentino battlefield in the years to come. In the meantime, during the rest of March and into April, determined Italian attacks in the Dolomites capture the Sentinella Pass, the Cima Undici, the Adamello chain, failing to capture the peak of Croda Rossa against determined Haspburg resistance. These Tyrolean heights lie directly between Italy and Vienna, after all, so defensive tactics are similar to the Slovenian battles of the Isonzo: prepared defenses, fields of fire, and swift counterattacks bleed the Italian Army at an acceptable rate of loss. It is a similar attrition calculus to one being enacted today on the Western Front at Verdun. Digging in at close quarters, the combatants are in fact recreating the conditions of the mountain battlefields of the Western Front — complete with a daily routine of sniping, raiding, and lobbing indirect fire weapons at one another — but at high altitude, where the conditions are ferocious when they aren’t deadly. Increased troop density only thickens the fighting, as neither side achieves breakthrough against machine gun fire. Carved from wind-swept rock, these are also the most permanent battlefields of the Great War, and some of the best-preserved. It is still possible to meet the ghosts of Italy’s best and bravest in the Trincerone, to get lost in the zigzag maze of the Austro-Hungarian tunnels, paths, steps, and trenches before Pal Piccolo.